MBARARA – Rejuvenated Nyamitobora FC host unbeaten SC Vipers at Kakyeka Stadium as the StarTimes Uganda Premier League continues on Tuesday afternoon. After a disastrous first round, Asaph Mwebaze’s side made wholesale changes to their squad and subsequently won their first second-round 4-0 away to Police FC last week. Such a result is meant to kick-start their serge to fend off relegation but they know it will not be easy. There first task in that quest comes in form of one of the favourites for this year’s title, Vipers SC. The Venoms won the reverse fixture 1-0 with Davis Kasirye scoring a late winner, with Nyamityobra still in the hands of James Odoch. 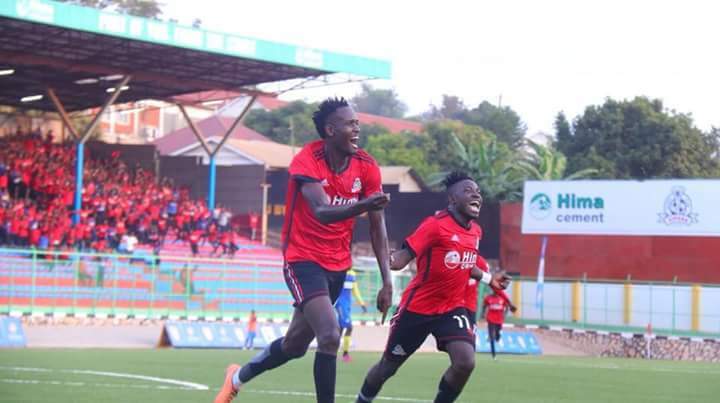 Nyamityobora will jump out of relegation zone for at least 24 hours with maximum points while Vipers have an opportunity to close the gap on leaders KCCA FC provided the Kasasiros don’t win their fixtures on Tuesday. Ibrahim Kiyemba is suspended for this encounter after being sent off against Kirinya-Jinja SS FC, so either Henry Katongole, Geofrey Wasswa or Ibrahim Tembo will play in right back. Moses Waiswa did not make the trip to Mbarara implying Brain Nkuubi, Abraham Ndugwa or Tom Masiko will partner Tadeo Lwanga and Rahmat Ssenfuka in the midfield. The hosts will look to Ibrahim Dada who has scored 7 goals so far while the Venoms will hope Daniel Sserunkuma and veteran forward Hamis Diego Kiiza. This is the second encounter between the two clubs, vipers having won in their first meeting. If Nyamitobora wins the match it will step out of relegation while Vipers might get an opportunity of leading the table log if they defeat the hosts. Nyamitobora hasn’t lost any game since the second round started same to Vipers SC. Vipers sits in second position with 34 points while Nyamitobora has only managed 12 points in as many games played.